Hi there! 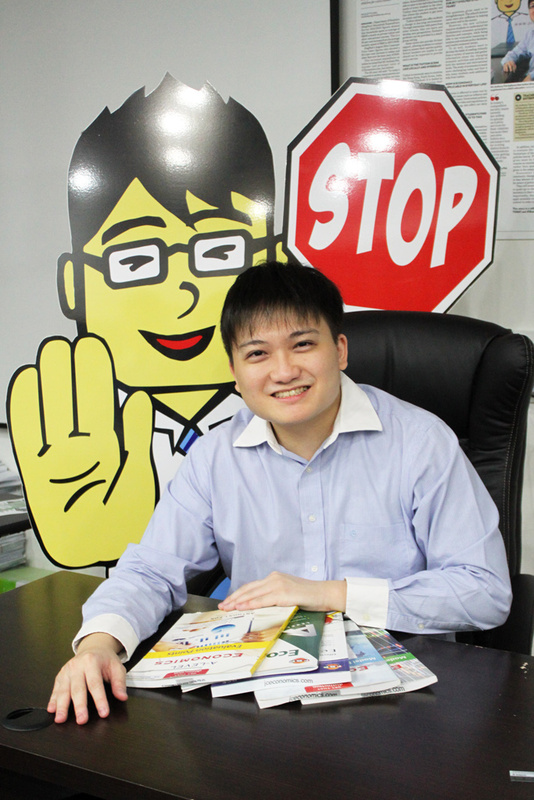 I am Mr Anthony Fok, founder and principal tutor of JC Economics Education Centre. I have always knew I wanted to be an educator, to teach students to see the vitality in themselves. I would not trade this job for any other in the world. Armed with nothing but this passion, I set up JC Economics Education Centre hoping to reach out to students who struggle in Economics. Today, I am proud of every student I have had the chance to mentor and look forward to teaching more. “Who dares to teach must never cease to learn.” I believe that a good tutor should not only be well versed in the subject. He or she must also understand pedagogy and have a wide range of teaching strategies. Other than my first degree in accountancy, I also earned a masters degree in education and am currently pursuing a PhD in learning environments in Economics. Pedagogy is also what sets JC Economics Education Centre apart from other tuition centres – we focus on how to help our students learn instead of merely feeding them concepts or essays to regurgitate. Many people ask, and you may be wondering – why not expand the tuition centre and hire more tutors as many others have done? My reply is this: I am not seeking humongous profits. I prefer to uphold the quality of my lessons for my students. Busy as I am today, I continue to handle everything at JC Economics Education Centre, from buying sweets for my students to printing of the learning resources. It is tough, but I do it cheerfully, grateful for the opportunity to inspire young minds. I would like to hereby extend a warm invite for you to discover for yourself what learning is like at JC Economics Education Centre yourself, and how it can significantly help you to improve your Economics grades. See you in lessons!